Goodyear’s Customer Conference draws 2,500 attendees to their trade show floor annually. For over a decade, CEI has been chosen to handle all design and production of trade show booths, as well as general contractor responsibilities. The winter tire area of the show floor has historically had lower attendance compared to other areas of the consumer tire section of the North America tire booth. 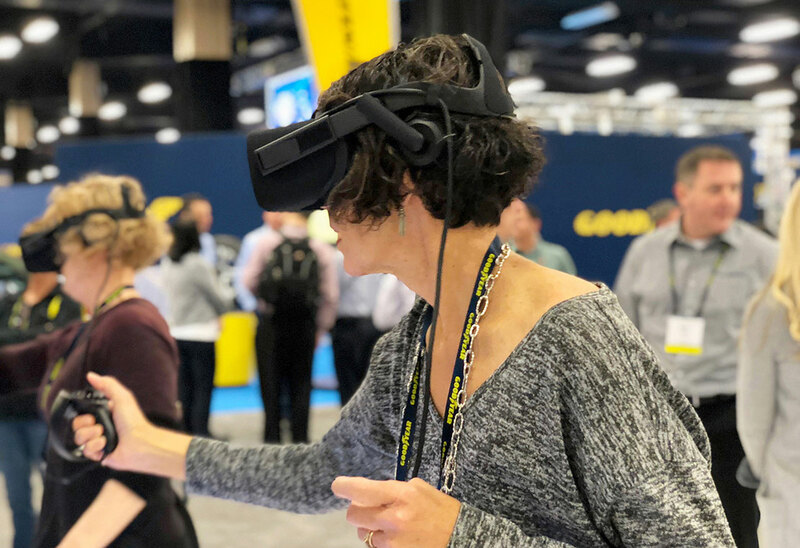 Goodyear was looking for a way to create more product awareness and engagement at 2018’s Customer Conference in Nashville, TN with their winter tire portfolio and customers. The winter tire area of the show floor was positioned in the back of the show hall making it easy to miss. CEI’s Sales, Design, and Interactive teams started this project by listening and understanding the message Goodyear wanted to communicate with their target audience. 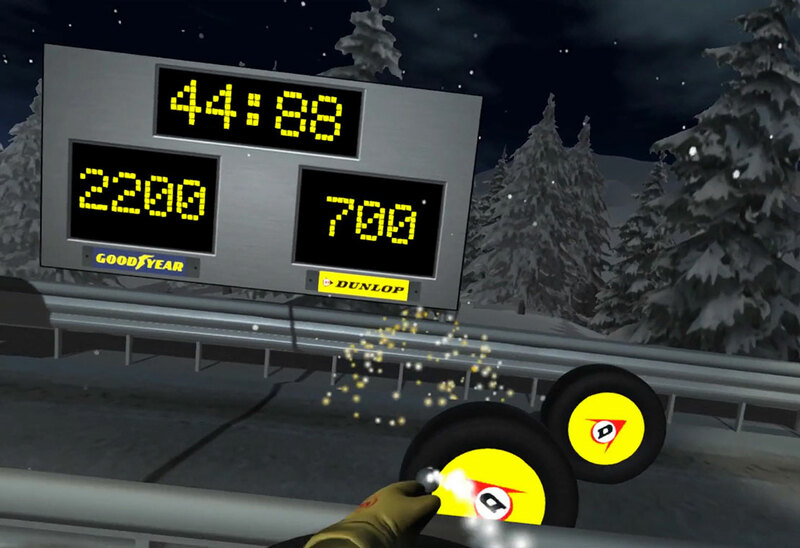 We brainstormed and collaborated with Goodyear’s team to come up with a unique interactive experience that would attract attention, drive interaction and promote Goodyear’s winter tire products. 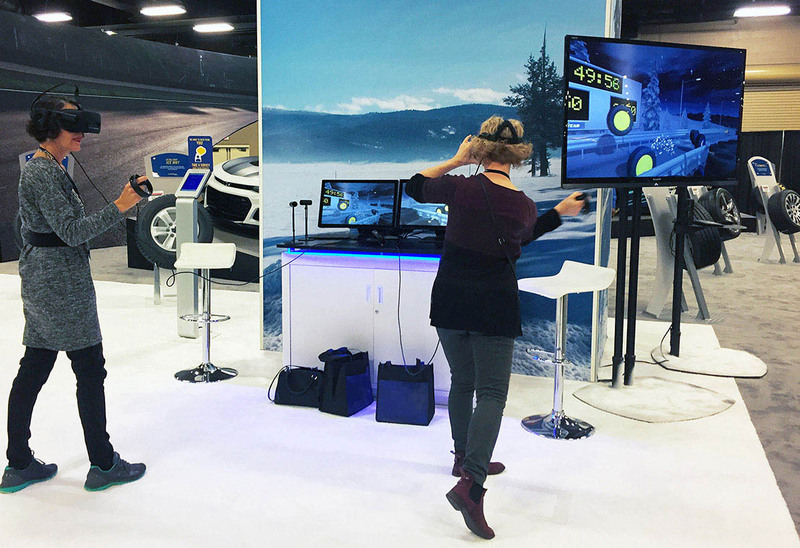 A multiplayer Virtual Reality (VR) experience was designed promoting Goodyear’s winter brands and tires through a friendly competition that was engaging, informative, and fun. From start to finish the experience was three minutes and allowed two people to play at a time. We positioned the VR encounter next to the aisle to gain higher visibility. There were two large monitors showing attendees a leaderboard and the player’s point of view in the game which also helped to attract attention. 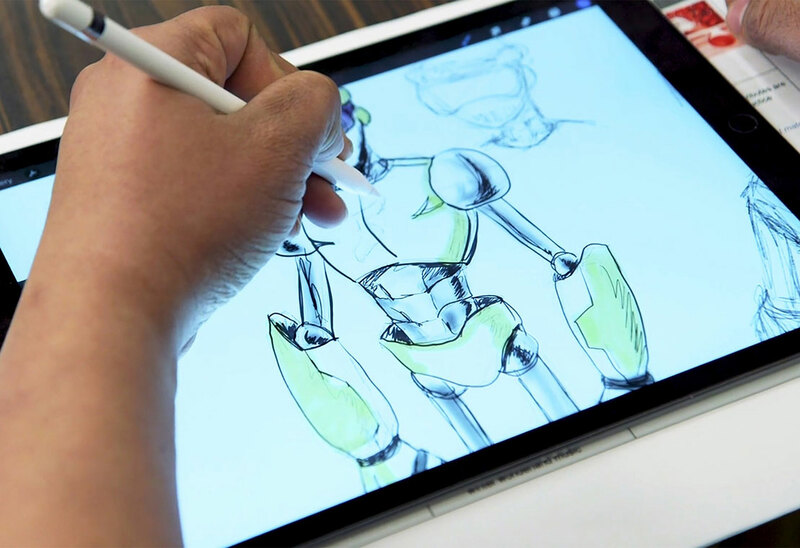 While attendees waited in line, they took a survey on an iPad providing valuable feedback to Goodyear. 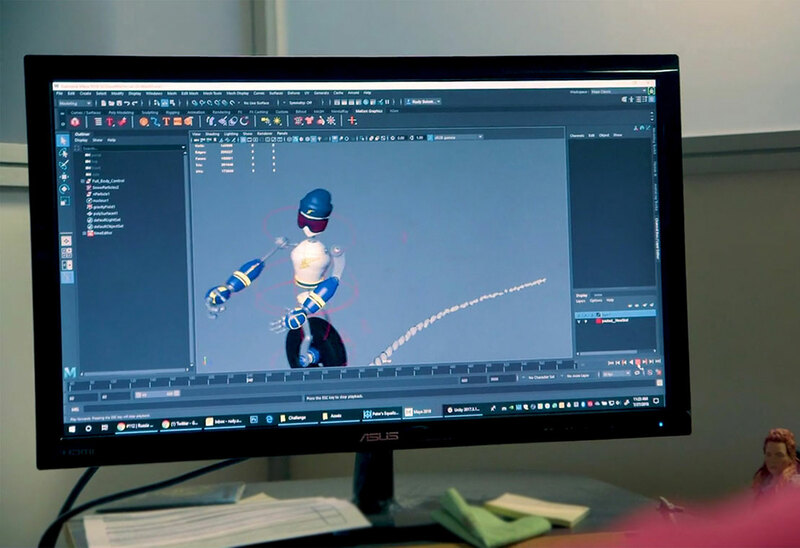 The VR experience was built in-house at CEI from the initial concepts, storyboarding, character sheets, script writing, programming, 3D asset creation, design, sound effects, recording of narration and everything else required to build a custom themed game. We deployed the experience on a network of two gaming PCs, and Oculus Rift headsets with a custom-made cabinet. 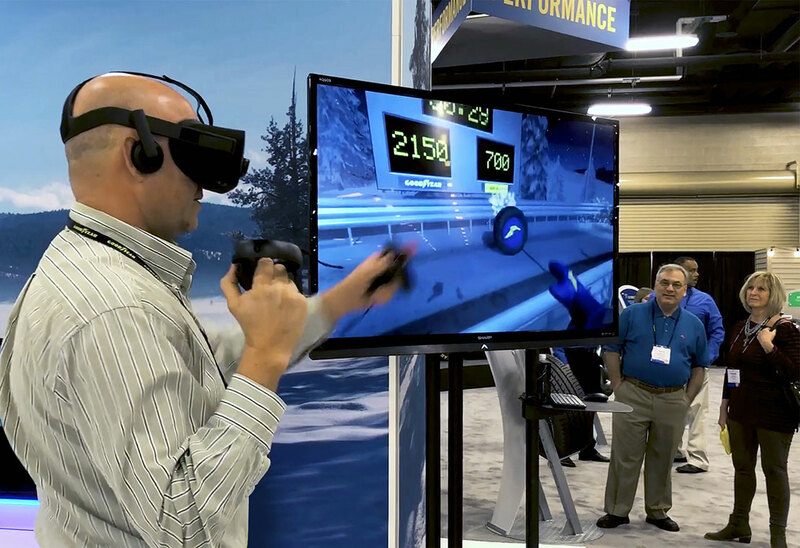 CEI created an innovative experience for Goodyear that drove engagement and dwell time within the winter tire area of the show floor. Several hundred attendees played the game over the course of the show learning the importance of promoting Goodyear winter tires to their customers. Goodyear also captured valuable survey data. Customers absolutely loved the Virtual Reality experience. At the end of the event, the player with the highest score on the leaderboard won $200 in Goodyear store credit. Goodyear was the real winner though as they drove additional traffic to the winter area and promoted the importance of their winter tire brands to several hundred players along with masses of attendees who watched from the aisle.